Huge disparities in healthy life expectancy across England reflect massive cuts to public health budgets and a failure to legislate, according to a leading obesity expert. Commenting on new figures on healthy life expectancy (HLE) released today by the Office for National Statistics, Dr James Brown, Lecturer in Biology and Biomedical Science at Aston University, said the stark divide was highlighted by the examples of two Kingstons – Kingston upon Thames in leafy Surrey and Kingston upon Hull in East Yorkshire. 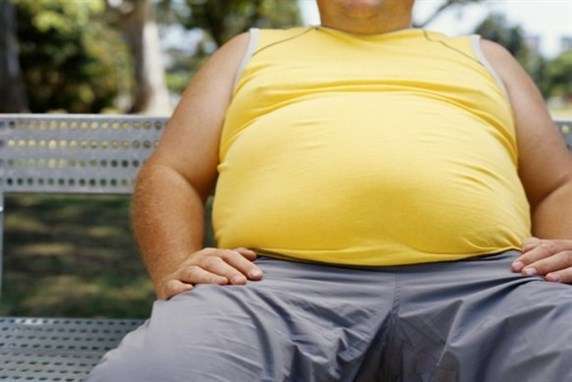 In Hull, 30.6 per cent of adults are obese, while men can only expect 56.3 years of HLE. This contrasts with Kingston upon Thames, where 17.9 per cent of people are obese, while men there enjoy 67.9 years of HLE, one of the highest rates in the country. Dr Brown said: "It's hard to believe that in the 21st century we can still have such huge discrepancies in determinants of healthy life expectancy like obesity, smoking and alcohol consumption. The case of the 'two Kingstons' shows just how stark the divide is. "It's clear that collectively government, NHS and public health bodies are failing to grasp this problem, because these health inequalities have been known for a long time and we still don't seem able to make a dent in them. "The fallout from the austerity agenda in our public services is almost certainly a key factor here. While the Government has made much of its commitment to spend an additional £10bn on the NHS, public health funding will be cut by 9.7 per cent by 2020/21, or £331 million in cash terms, on top of the £200 million cut already last financial year. Responsibility for public health has been shifted on to hard-pressed local authorities already grappling with swingeing budget cuts. "At the same time, just 7.2 per cent of NHS spending goes to GP practices, where 80-90 per cent of patient interactions take place. GPs are simply too busy fighting fires to meet surging demand to effectively monitor all patients who would benefit from early interventions. "What we need is far better understanding of why messages around smoking, obesity and healthy nutrition aren't getting through. The figures released today clearly show a link with deprivation and low levels of education. But education campaigns can only be so effective. What we also need is a willingness from government to legislate in light of the evidence. We did this with the ban on smoking in public places and rates of heart disease has fallen by 20 per cent as a result. We now need to get serious about the root causes of obesity and have the political guts to legislate accordingly."